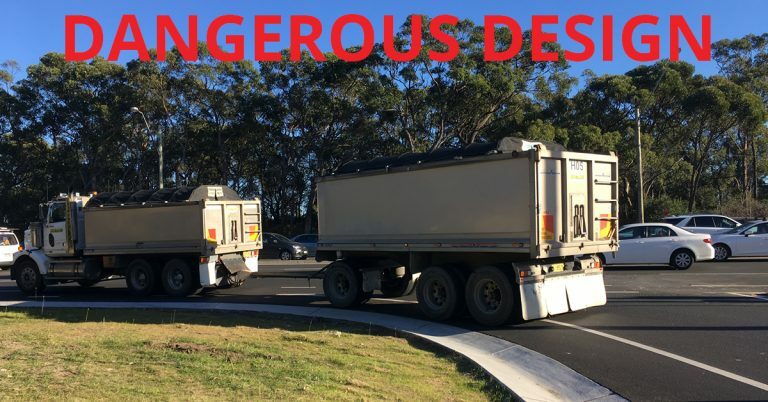 In late 2017 we approached Roads and Maritime Services with grave concerns over their designs for the upgrade of the intersection of Mona Vale Rd and Forest Way at Belrose. We were able to get safety measures somewhat improved during the construction process - but not in the design itself. "A 1.5m wide shoulder will be provided adjacent to the left turn slip lane from Forest Way onto Mona Vale Road. The existing shoulder width at this location is 1.2m. Roads and Maritime believes the 1.5m wide shoulder is sufficient to provide a safe facility for cyclists at this location." All this extra width is providing is to allow drivers to cut the corner more. There is ample room on this corner to provide a protected bike path similar to the opposite corner. RMS has shown they have the ability to create a safe area for cyclists. But in many circumstances they get it wrong. It's time they make the commitment to improve their designs to make it safe for all bicycle riders all the time - let's keep our cyclists safe. 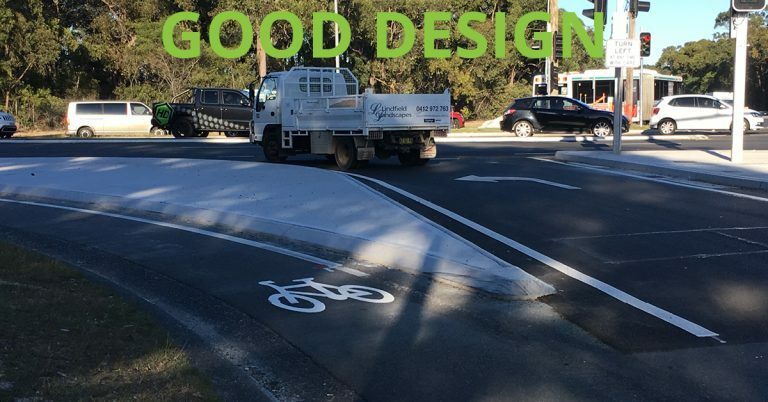 South-east corner at the intersection of Mona Vale Rd and Forest Way, Belrose - designed well with a protected bicycle path. South-west corner at the intersection of Mona Vale Rd and Forest Way, Belrose - designed poorly with an unprotected shoulder.